Remixnation have today added Chromecast support to their iOS and Android app ShowYou, allowing you to push interest-curated online videos to the big screen. ShowYou helps find the most interesting online videos based on your interests and what your friends share on social media. The picked videos then get arranged into a lineup programmed around your interests, and now these can be streamed directly to the Google Chromecast. ☆ Watch and react to videos shared by your friends. ☆ Share videos with your friends on Showyou, Facebook, Twitter or by email. ShowYou is available for free on the Google Play Store. The post ShowYou video discovey app adds Chromecast support appeared first on ChromeWatching. 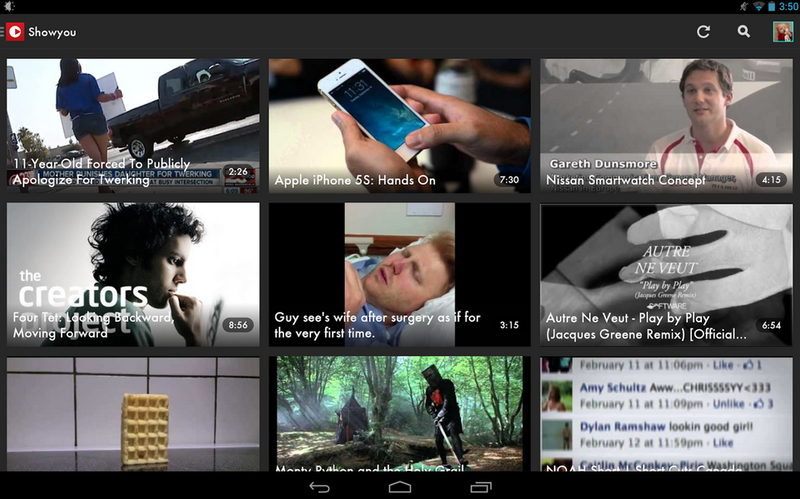 The post ShowYou video discovey app adds Chromecast support appeared first on AndroidGuys.